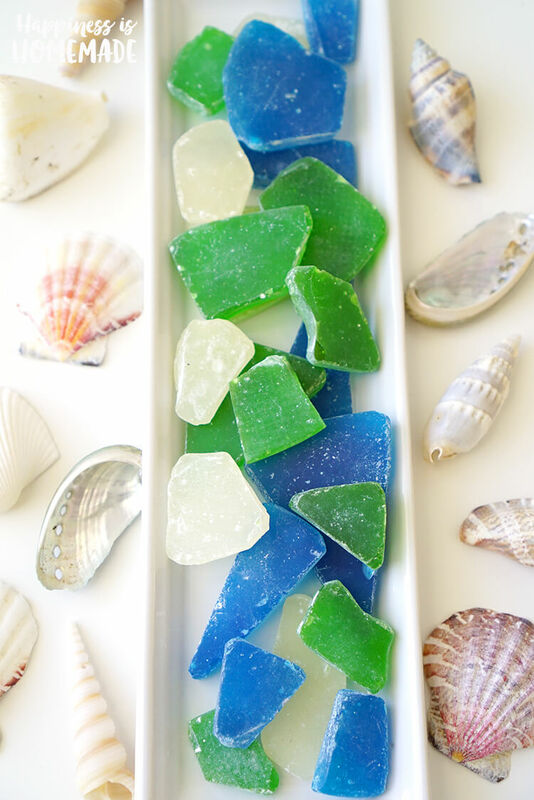 Edible sea glass candy is super quick and easy to make, so it’s the perfect party favor for your next ocean or beach themed party! 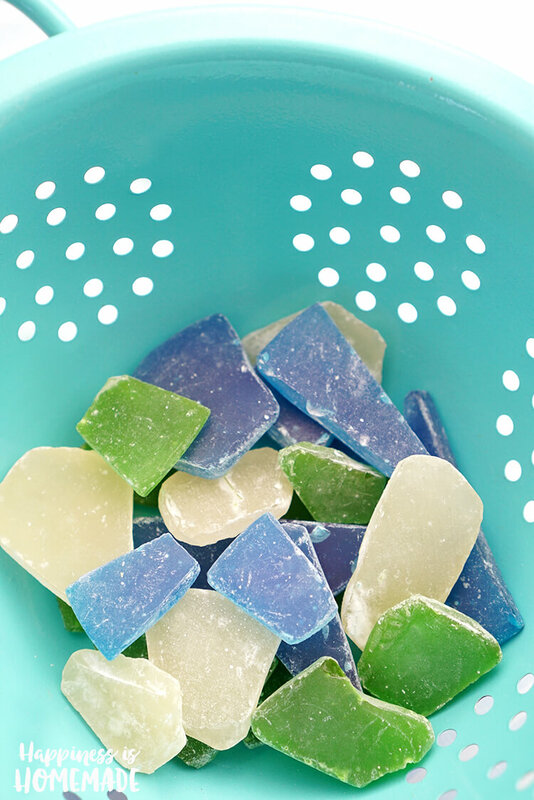 These may look like beautiful shards of tumbled sea glass, but they’re actually deliciously sweet hard candy (in apple, blackberry, and cotton candy flavors!)! 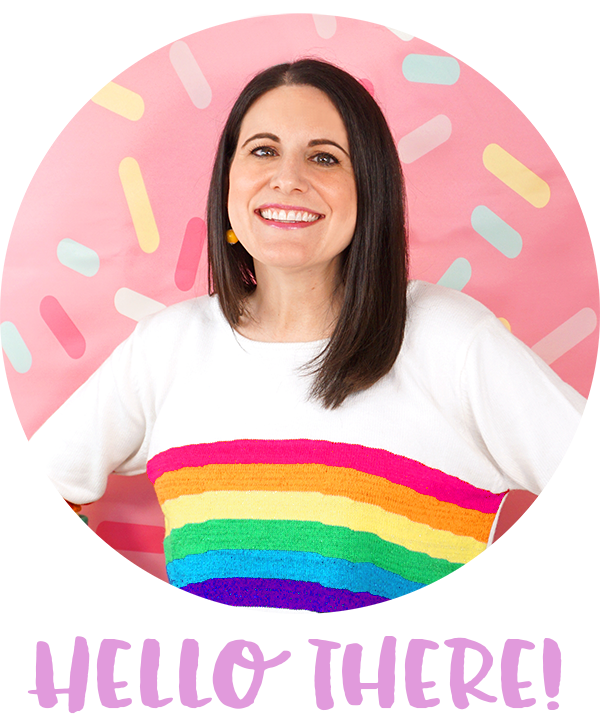 The idea of candy making can seem daunting and intimidating (I used to think so, too! ), but it’s really much simpler than you might think! All it takes is sugar, corn syrup, food coloring, and a bit of patience. A candy thermometer and non-stick mat are also really helpful and highly recommended. 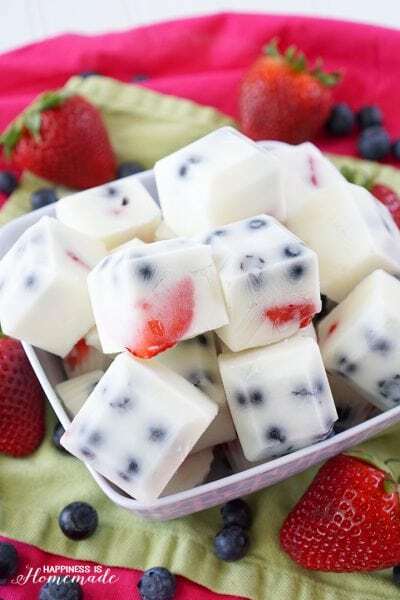 I made this edible sea glass candy using the same methods and recipe that I used to create our Patriotic 4th of July Lollipops awhile ago, and it really couldn’t be any easier. Stir together the water, sugar, and corn syrup in a medium sized saucepan. Clip the candy thermometer to the side of the pan, and boil over medium heat (stirring very frequently) until the temperature reaches 300 degrees. Remove from heat and CAREFULLY pour 1/3 of the the hot sugar mixture into each of the two Pyrex measuring cups. Immediately add food coloring and flavor oil to the remaining liquid in the saucepan as well as the measuring cups. Stir well. Pour the contents on to a non-stick mat and allow to cool completely. Use a food-safe hammer to break the hardened candy into smaller pieces. 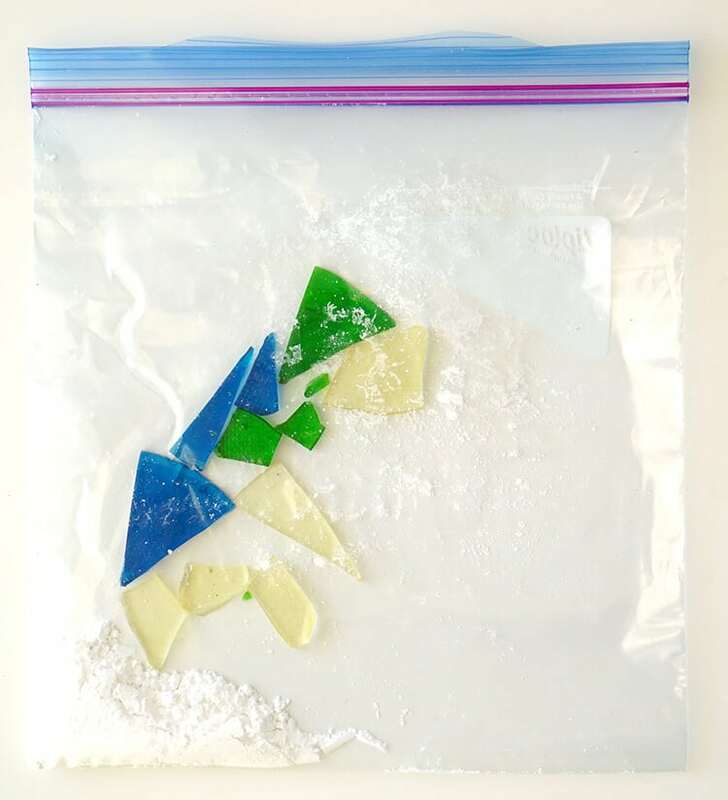 Put the pieces in a large plastic zipper bag along with the powdered sugar, and shake to coat. Use your fingers to brush off the excess sugar. 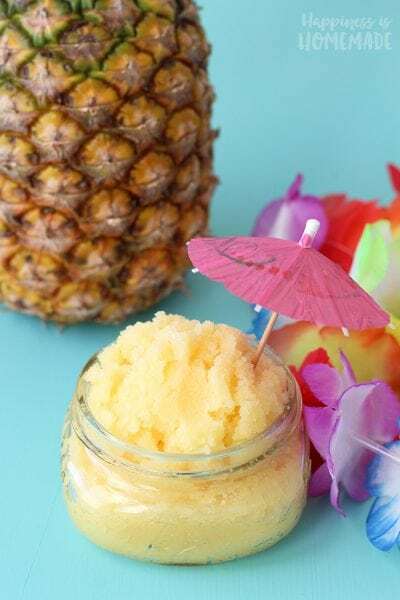 Note: when the sugar mixture has reached 300 degrees, you must work quickly and carefully because the liquid sugar will cool and become too thick to pour in about 4 minutes! 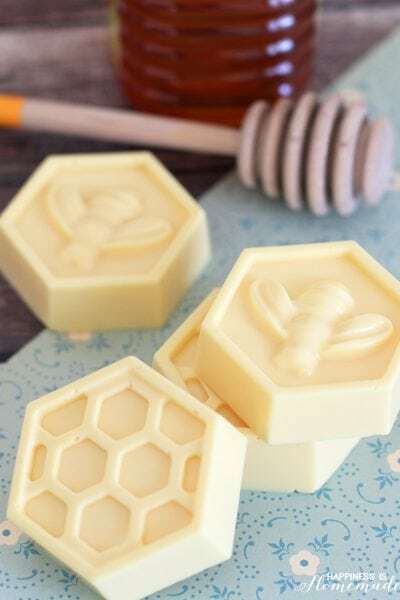 Use a mallet or a food-safe hammer to break the candy into small bite-sized pieces, and then use it to break off any sharp ends and edges. Put the candy into a large plastic zipper bag along with 1/4 cup of powdered sugar. Shake well until all of the pieces are coated. Pour the candy into a strainer or colander to get rid of the excess powdered sugar, and use your fingers to brush off any remaining clumps of sugar from the candies. Isn’t it gorgeous? 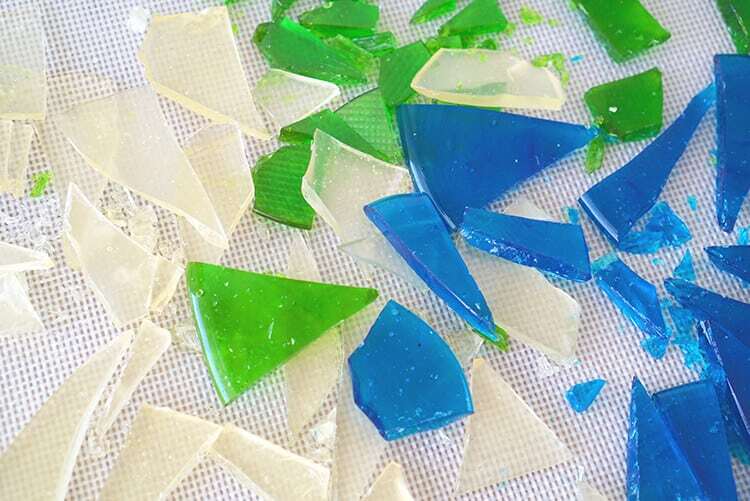 It really does look just like sea glass! 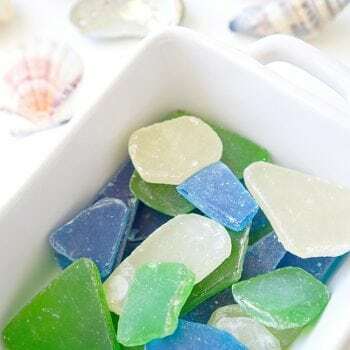 If you liked this quick and easy tutorial for DIY edible sea glass candy, you’re going to LOVE these other ocean themed foods from my #CreativeFoodies friends! 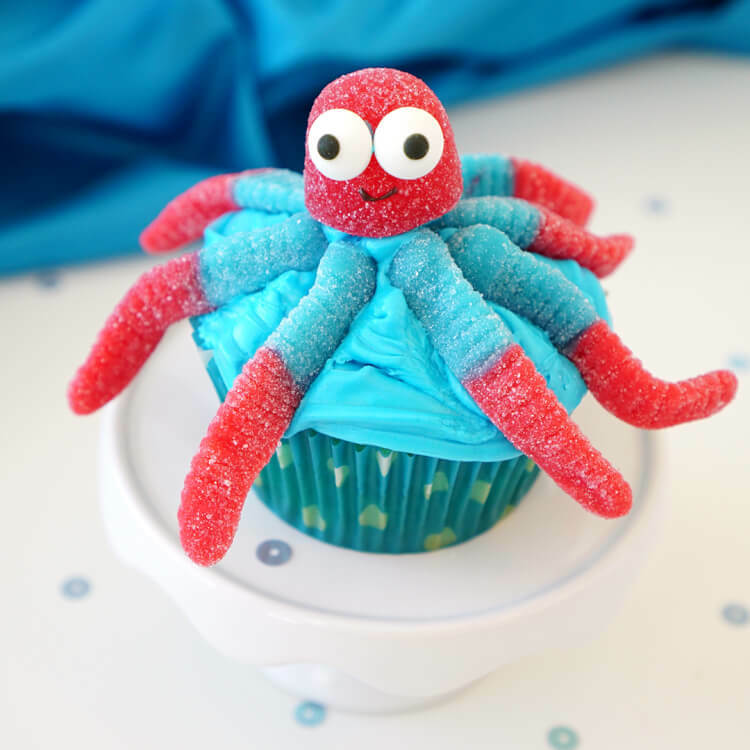 Of course, these quick and easy octopus cupcakes are a TON of fun, too! These are adorable! I just attempted to make this for my son’s ocean-themed birthday party. The mixture is currently “cooling”. I say that because it’s been in the cooling stage for hours. It’s still a little gooey, not dripping, but not hard. Could it be I did something wrong? Or does it just takes really long time to harden? i didn’t have a thermometer but the mixture was boiling when I poured it. Any help would be appreciated! I’ve never done anything like this before. Hi Natalie, it sounds to me like your sugar mixture didn’t get hot enough to set properly. Once the sugar mixture boils, it still takes quite awhile before it reaches the “hard crack” stage of candy making (300-310 degrees F). It should only take the candy a few minutes to harden completely once you pour it. 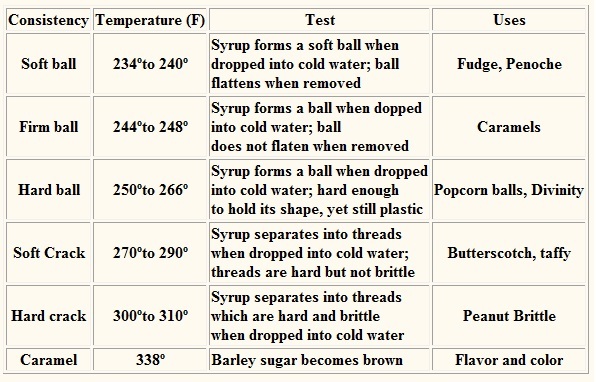 If you don’t have a candy thermometer, you can use this chart along with a glass of cold water to test and see which stage your mixture is in during the cooking process. Thank you SO much! I didn’t realize what a science candy making is. I will try again! Powdered sugar will not work for creating hard candy. 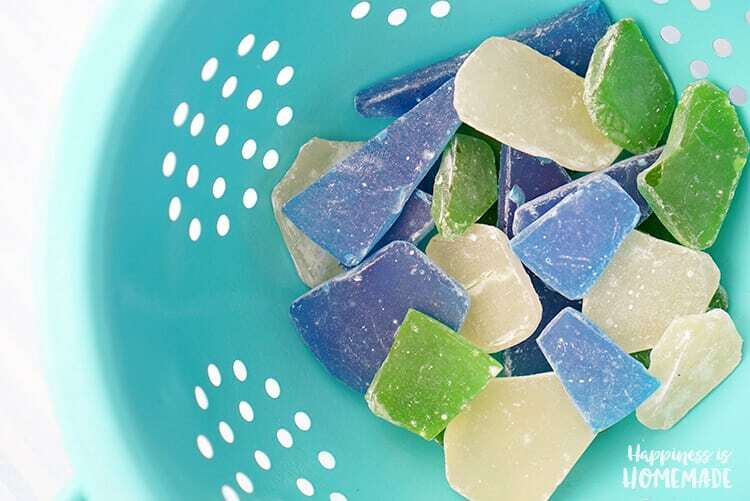 It is only used in this recipe as a light dusting to give the candy its sea glass-like frosty appearance. 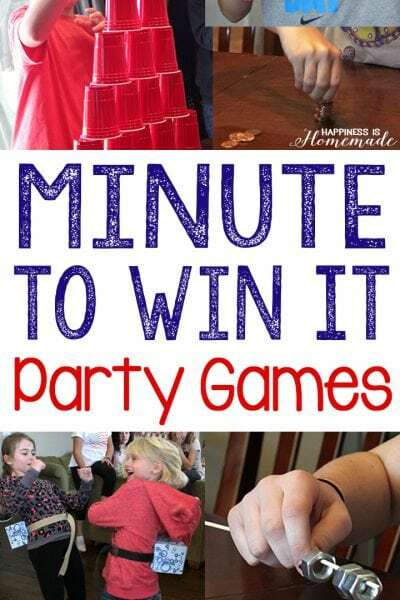 How long can you make in advance to your party and how should you store to keep candy hard. Thank you. I have made hard candy up to a week in advance of a party, and I store it in an air-tight container (like Tupperware) until the day of the party. 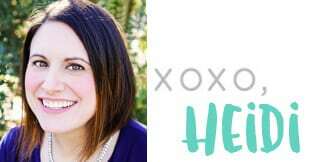 Hard candy can last 6-9 months, though, so I’m sure you can make it even earlier if need be! I seem to be having the same problem. My thermometer didn’t seem to want to go past 250 degrees so I figured that was good enough. But, no, I guess not. I’m still waiting for the candy to harden. Should I just scrap it all now, or just wait longer? Will it ever get hard enough to crack into pieces? Thanks in advance for your help. How many drops of oil flavoring do you add? I use about half of a dram sized container for each batch. A little goes a long way! My candy is claer when I pour onto jelly pan but then clouds as hardens. What am I doing wrong? My mixture was taken off the burner at exactly 300 degrees. I wanted to try a blue color, but because the mixture was an amber color when it came off the stove, the blue, I’m assuming mixed with the amber color and turned it green. How do you get the white and blue colors? I did exactly what the recipe said. Did I do something wrong? I only had it on medium heat the whole time. It turned out ok, just didn’t turn the blue color I was hoping for. It sounds like maybe your thermometer isn’t calibrated and reading correctly. The mixture should only start to turn amber colored if it gets too hot and starts to head towards caramelization. Two questions! How long does it take to reach the 300 degrees? I finally turned the heat up and it turned amber meaning it was too hot. It still turned out. Next, how in the world do I clean the pan and 2 pyrex cups? What didn’t come out has hardened on the cups. I’m thinking I can’t remelt it and pour down the drain because it will harden. Help! It was a hit at my niece’s bridal shower! I’m so glad I read all the comments before I started mine! These were very helpful tips to keep in mind. Can I just use a cookie sheet that is sprayed if I dong have a non stick mat?? This is a great idea and I can’t wait to try it out next week for our beach family reunion welcoming gifts. 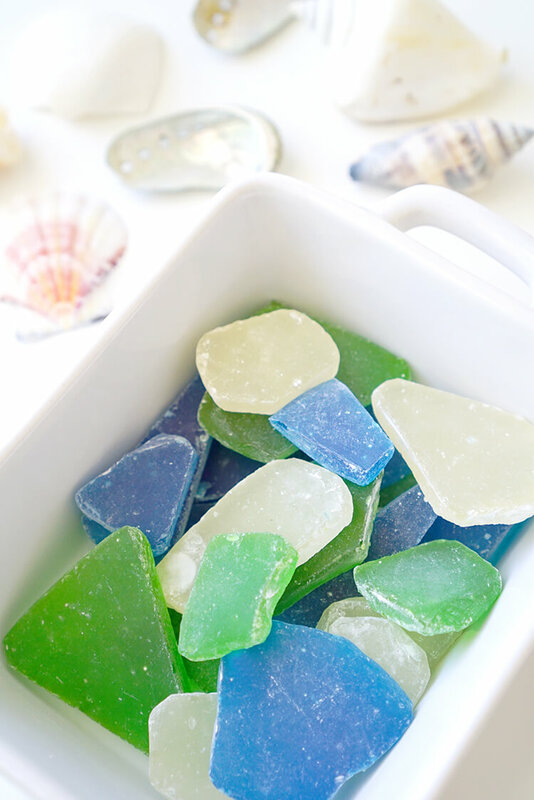 I was wondering if you could tell me what flavors have you found were the most delicious – and go with the sea glass colors? 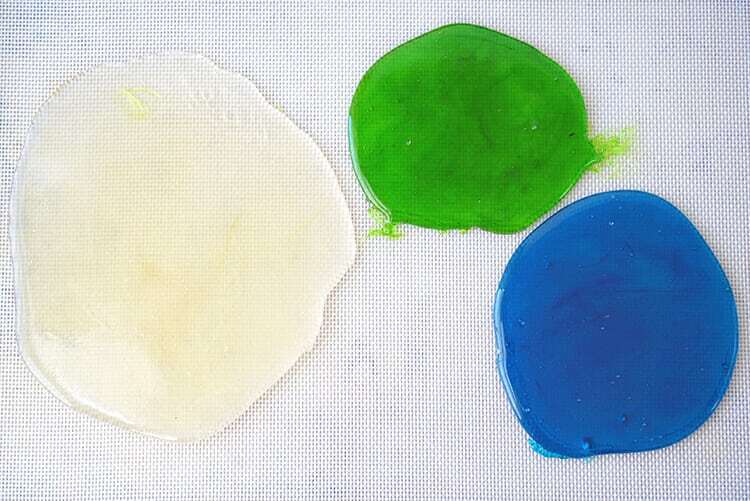 How much food coloring do you use per batch? If I want to mix custom colors, should I follow the dye box instructions for Easter eggs, frosting, or cake? 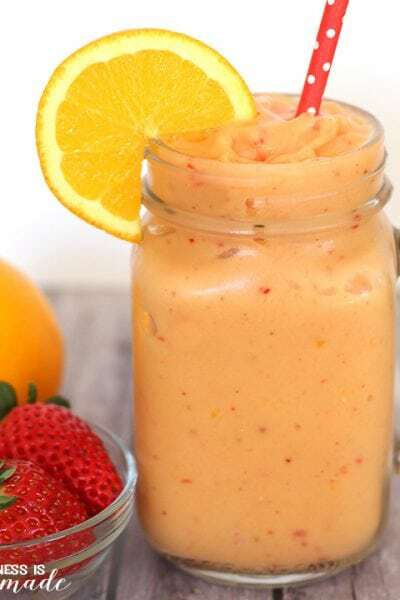 You will be able to see the color change as you add the food coloring to the mixture (it will stay the same color as it cools), so add as much or as little as you want depending on your desired outcome. Start with just a couple of drops and add more as desired. I cannot for the life of me get clear -no color candy. It is always turning yellow and the blue to green. I even bought a brand new thermometer. I follow your directions and the directions of 6 other cooks and the result is always the the same. I am using white cane sugar and light Karo corn syrup. I am so frustrated! I wanted to make this beautiful candy for my son’s beach wedding favors. I’ve gone through 5 bottles of corn syrup, two bags of cane sugar. I’ve tried liquid and gel coloring and I’m ready to throw everything out of the window. Please help if you can. I’ve been cooking for many, many years and have never been so frustrated with a project that was supposed to be so fast and easy! Thank you! I’m so sorry to hear that you’re struggling with this recipe, Carol! I suggest taking it VERY slow and using a lower temperature setting (every stove is different!) when bringing the sugar to temperature as the high heat is what is going to turn the candy yellowish as the sugar begins to caramelize. Also, once you coat the finished candy in powdered sugar dust to give it the frosted sea glass effect (just make sure to brush off ALL the excess sugar! ), it will help make those slightly yellow pieces look more white. About how much candy does this make? We are making this for wedding favors and trying to figure out just how much of it will need to make. I wish I could give you a more precise measurement, but the final result will depend upon how thick you pour the candy. For us, we were able to get one 6x9x2.5 Tupperware container almost completely full with the measurements from this recipe. What flavors have people made? How do you get the edges of the “glass shards” rounded off to look worn? thank you! I used the mallet to lightly tap at any sharp edges and round them off.